Pain in the neck of women. Touching the neck. 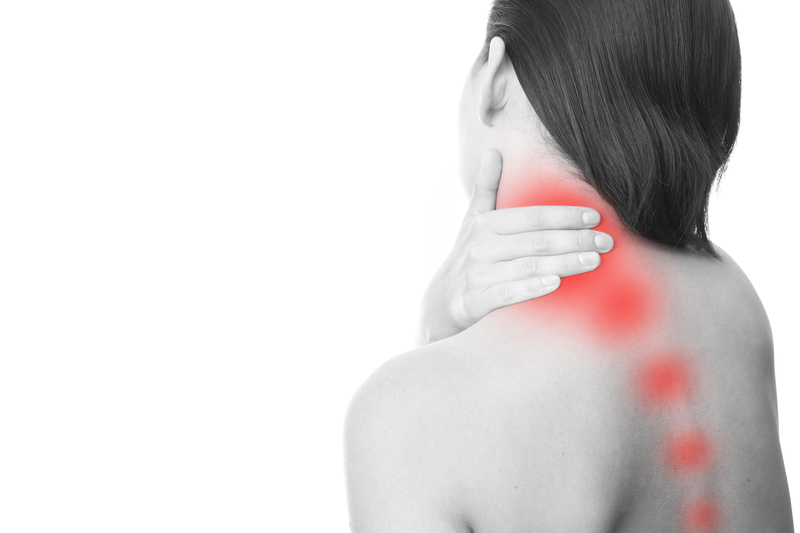 Trigger point injections are a procedure which helps relieve pain from trigger points. Trigger points area areas of muscle spasm or knots that can develop in any muscle. There is irritation, pain, muscle bands and knots felt at the area of the trigger point, but as the name implies, trigger points can “trigger” pain to refer to various areas. Trigger points are usually felt in the muscle as a knot under the skin. In order to help relax and reset the trigger point it can be injected with a local anesthetic (numbing agent) and sometimes with a corticosteroid. Once the trigger point relaxes and the chronic spasm is relieved, pain relief will follow. Trigger point injections involve injecting the trigger point with a small needle. The procedure can be done relatively quickly in the physician’s office. After the area is sterilized, the needle is advanced into the affected trigger point and a mixture with local anesthetic is injected into the affected trigger point. The needle is removed and the injection site is covered with a sterile bandage. The trigger point is made inactive with the injection, which results in pain relief. The injection can relieve the pain for long term and is generally followed by physical therapy and stretching to achieve the best outcomes. If the injection does not provide long term pain relief, but good short term pain relief, then the patient may be a candidate for Botox Trigger point injections.